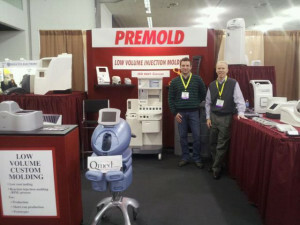 Welcome to Premold Corp’s booth in San Jose. We’re glad we could answer some of your most questions about this ”design generous” process. Doug and Paul have expertise in Reaction Injection Molding (RIM) and are available to to meet with you at the BIOMEDevice Trade Show.